FC Gifu have signed striker Takafumi Ogura from J1 new boys Ventforet Kofu, as they prepare for the 2006 season - their first in Division One of the Tokai League. Ogura is 32 and has enjoyed a lengthy J-League career with Nagoya Grampus 8, JEF United, Tokyo Verdy 1969 and Consadole Sapporo, as well as having spent a brief loan spell with Excelsior Rotterdam in Holland. 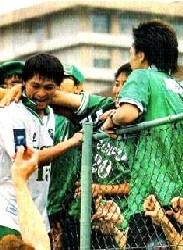 2005, however, has seen him to an extent squeezed out at Kofu by the likes of Bare and Taro Hasegawa. Gifu will be hoping that his experience will aid them in their league matches with local giants Shizuoka FC and Chukyo University, as they seek to move as quickly as possible to the JFL. But Ogura is far from being the only player on Gifu's books who has spent time in the J-League and, indeed, is actually the fifth such striker to move to the ambitious outfit. 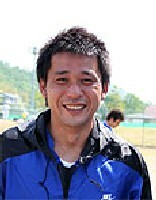 Yasuyuki Moriyama is probably the best known of the other players, having made his debut for Grampus in 1993 and going on to score more than sixty goals for the club before moving on to Sanfrecce Hiroshima and Kawasaki Frontale as well as Sapporo. 26-year-old local boy Hiroshi Morishita, meanwhile, started his career with Shimizu S-Pulse and, moved up north to Montedio Yamagata, returning subsequently to his home prefecture to play in local non-league. Ryohei Nishiwaki also appeared for Yamagata, although he began with JEF United and has also played in Germany with Bruckhausen. As the local big side, however, Nagoya have been the richest source of players for Gifu, with midfield quartet Naoki Hiraoka - a hat-trick hero in the match that clinched promotion against Toyota Automatic - Ryuji Kitamura, 24-year-old Masahiro Iwata and experienced Mitsutoshi Tsushima all having turned out for Grampus. 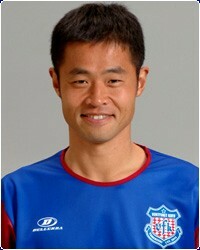 Defensive lynchpin Tetsuya Ito is a 35-year-old with a CV that includes spells with Yokohama F Marinos, Hiroshima and FC Tokyo. A squad boasting such a degree of firepower nevertheless only scraped promotion by virtue of a goal difference only one superior to rivals Fuyo Club and one of the most interesting aspects of the 2006 Regional League season will be to see how the players can mesh together and compete, with an eye on a place in the JFL at the end of the year. As such, Gifu would no doubt consider themselves to be in competition not only locally with Shizuoka and Chukyo University, but also on a national scale with the likes of Grulla Morioka and V Varen Nagasaki. Time will tell which of them proves to be among the next wave of J-League teams. 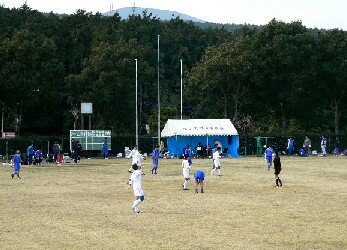 Osumi NIFS United and Nanakuma Tombies are therefore promoted to the Kyushu League for 2006.